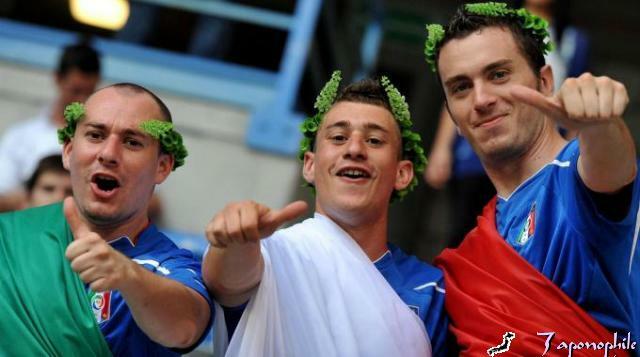 As you know, tomorrow Italy will be playing the UEFA Cup final against Spain.If you are in Rome you can root for your team with the crowds that will gather at the Circus Maximus and San Giovanni starting from 20.45. Both points can be reached with the subway: station Circo Massimo on the blue line, and Station San Giovanni on the red line. Don’t miss the chance to spend an unforgettable time living for a night the greatest Italian passion. In the region of Lombardy during the middle ages it was discovered, by accident, how to prepare a cake that is now popular throughout Italy. 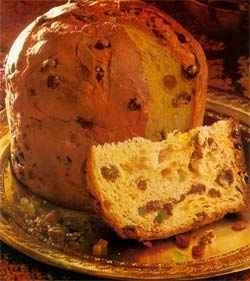 At Christmas time it’s a typical dessert .Its called Panettone and its almost impossible to imagine Christmas without it. Panettone is increasingly becoming popular in other countries in Europe, for example Spain. In Argentina its also very popular. This is because Italian immigrants during the nineteenth and twentieth centuries brought it to these countries. This is even why in the legendary Pampas its also present at the Christmas table. 1. Knead yeast, dissolved in warm water, and one third of the flour until you get a soft dough. 2. 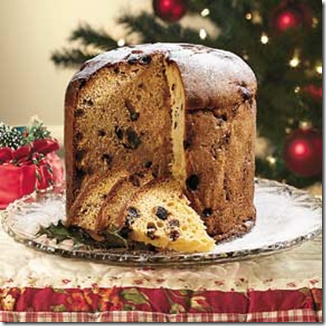 Make a cross on the panettone and let it rise, covered, in a warm place for 20-25 minutes. 3. Resume the kneading with another third of flour and a tablespoon of warm water. 4. Cover again and let the dough rise in a warm place for 3 hours or until it has doubled in volume. 5. Do the same again, adding all the flour and water whilst trying to make the batter thicker. 6. After about 9 hours of leavening the dough (leaving it to rise) add the melted butter and the egg yolks, one at a time, the sugar – which should be dissolved in water, salt, raisins and well strizzata lightly floured, and candied fruit. 7. Work long enough to get a smooth dough, you will maybe need a couple of hours. 8. Place the dough into the mold, anointed with melted butter and lined with paper baking foil, and place in a 170 degree oven. 9. After about 40 minutes, half cooked, brush the surface of panettone with butter, then put it back in the oven for another 40 minutes. 10. Wait for it to cool down and then push it out. We hope you will enjoy it. If you want to know some more about this or another secret of Italian cooking just send an email to info@hoteldesartistes.com. You can even learn the secrets from our very own nonna. Christmas in Rome is very special. This is why so many people come to visit Rome and decide to stay in our hotel…We do our best to make them feel like home. Ferrari is an Italian car manufacturer with the most famous symbol. The distinctive symbol is the “rampant pony,” used by the Romagna aviator during the First World War, Francesco Baracca. Baracca flew in 63 combat aircrafts, gunning down 34 enemy aircrafts. He died during a mission, killed by machine guns at low altitude above Colle Val Dell’Acqua, on Montello. He was probably shot down by a coup rifle fired from the ground, while his plane flew over the Austrian trenches during the Battle of the solstice (June 1918). 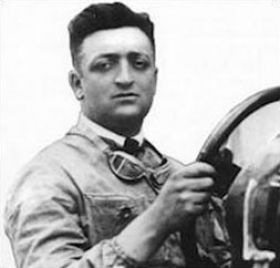 Afterwards his symbol (the famous horse) was handed over personally by his mother (Countess Paolini Biancoli) in 1923 to Enzo Ferrari, a racing driver. 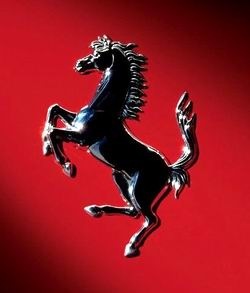 Since 1932, with the founding of the carmaker known as Ferrari, the symbol that the legendary aviator wore on the nacelle of his plane has appeared on the bodywork of Ferrari cars. Today the symbol of the horse is both the mark of Ferrari and the Scuderia Ferrari. Ferrari was founded by Enzo Ferrari it now produces high-end sports cars for races. Then there is the Scuderia Ferrari which is the most famous sports team engaged in the cars. The headquarters at Maranello, in the province of Modena. Luca Cordero di Montezemolo, a former president of Confindustria and chairman of the Fiat group, is the chairman. 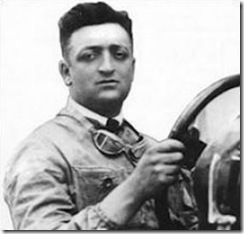 The passion of Enzo Ferrari has always been the race car industry. He was a race car driver, racing from 1920 onwards with an Alfa Romeo. The Scuderia Ferrari was born in 1929: it was a team that ran with the Alfa Romeo while Ferrari ran the development of the cars. Only after the crisis of 1933 which led then to the withdraw of the Alfa Romeo, Ferrari created Auto Avio Costruzioni based in Modena initially, which eventually moved with the start of the war (1944) to Maranello. Bosses worried that the factory would be bombed. The Scuderia Ferrari as we know today, however, was only created after the War. That section of the sports car manufacturer is now currently the most famous team of world motor sports.